An industrial and graphic take on renaissance, this collection is a bold reimagining of the freshwater pearl. The renaissance is cited in terms of both its literal meaning – rebirth – and as a cultural movement, inspired by the rediscovery of classical Greco-Roman culture. This era of progression following the Middle Ages represents a pivotal evolution from the ancient world to the modern. 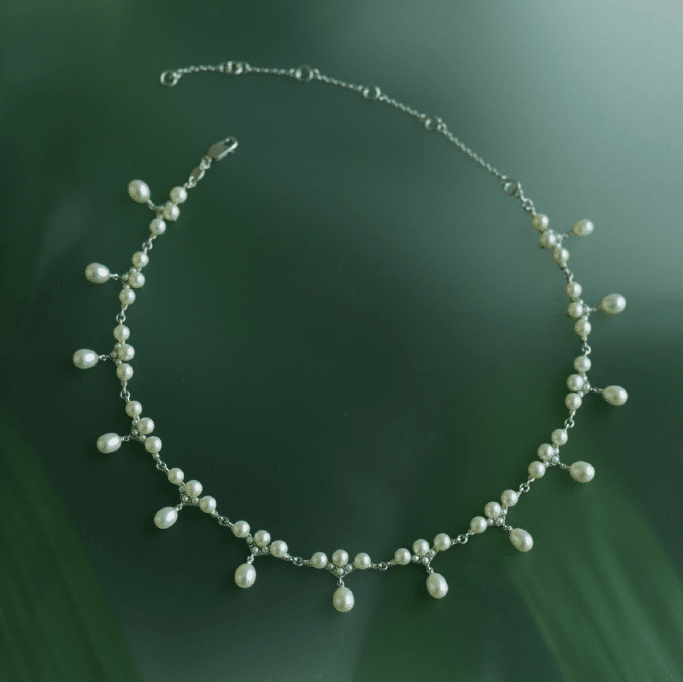 Luminous freshwater pearl orbs are set in geometric and linear silhouettes which bring a new sense of edge to their ethereal beauty. Each piece is crafted from strong, yet lightweight curves of silver which echo the naturalistic lines of modern gothic ironwork. There is a fluid design rhythm in the interplay of the different sized pearls in contrast to the geometric angles of the settings. Discover more in store today.